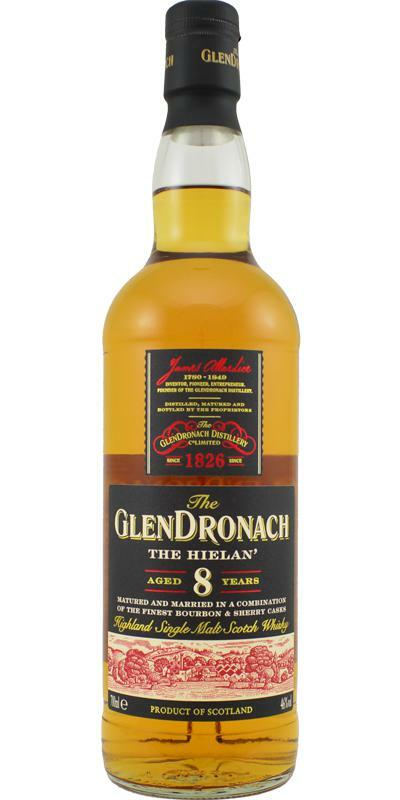 A well constructed and tasty whisky, especially if you also consider the price point. Soft notes of straw, vanilla custard and honey, accompanied by oranges, lemon zest and pencil shavings. After a little while a distinct aroma of freshly cut pear parts. Nice oily texture with light citrus fruit, butterscotch and subtle spicy notes of cloves and ginger. There's a touch of honey as well. Quite attractive, despite the oaky bitterness. Subtle red fruits, ginger and pepper. barley, pencil shavings, pears and apples, nuts. substantial attack, a little sharp, creamy mouthfeel, malt, caramel, apples. 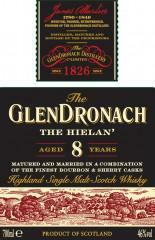 Simple GlenDronach, not very interesting. In this price category the 12 'Original' is a better choice. Pear, almond, caramel and vanilla.